Threeguru are delighted to announce they will be sponsoring the Entrepreneurship Award at the Derby College Peak Awards 2018. The Guru’s will present the award at the Peak Awards ceremony on the 14th June 2018 at The Roundhouse, Derby College’s award winning vocational campus in Derby. The creative midlands agency hope that the award will help to inspire and encourage the local home-grown entrepreneurs of the city. The threeguru directors will be joined by approximately 250 people including other business sponsors for the biggest event in the Derby College calendar. 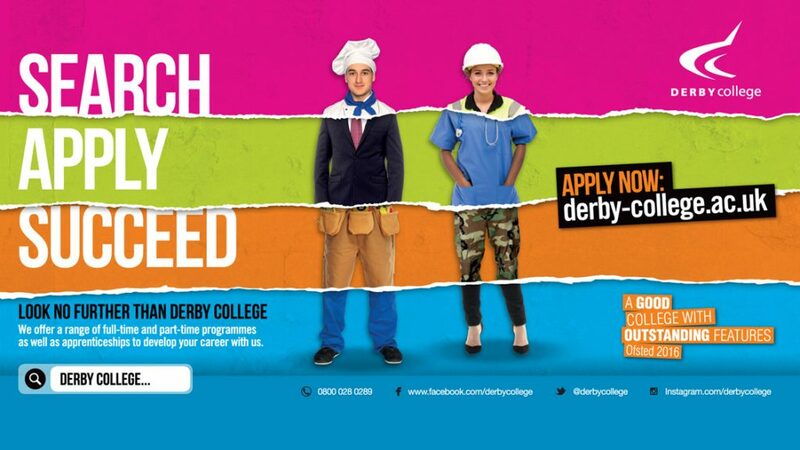 The Derby College Peak Awards 2018 will be a huge event for Derby, joining together the businesses and students based in the city. The Peak Awards is a high profile annual event hosted by Derby College to celebrate the achievements and excellence of students throughout the organisation. The Awards will be held on the 14th June 2018 at The Roundhouse Derby College’s awardwinning vocational campus in Derby. Previously hosted by Dean Jackson of HUUB, BBC Sport presenter Andrew James and Gem 106 presenter Andy Miller the Peak Awards will be attended by approximately 250 people including business sponsors who have a high profile throughout the event.